Hey, Happy Feet—I mean, ‘Folks’! 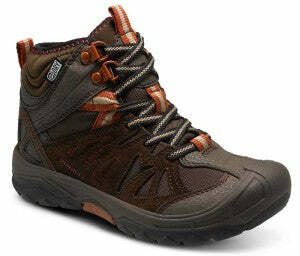 We carry lots of different footwear from a number of brand names like Chaco, Northside, and Kamik. Merrell has made a name for themselves in the footwear industry and it’s not hard to understand why. But, in case you’re unaware of their splendor, we’re fixing the Everything Summer Camp spotlight on this deserving brand name to investigate into their history, passion, and purpose in the business that they’re in. With a passion for hiking in the outdoors, Randy Merrell always had it in the back of his head that he should put his expert craftsmanship toward making hiking boots. So, one day, he tried. Meanwhile, two former ski company executives Clark Matis and John Schweizer were looking to start up their own business. Randy presented his talents, Matis brought his athletic instincts and Schweizer contributed his marketing know-how. The three came from three different backgrounds and therefore communicated in different ways. But despite challenges in teamwork, this little crew knew with 100% assuredness that they would become a leading brand name in the hiking boot industry. And more than just boots now, this team of three has built their business from the ground up. “We wanted to make the best in the world. And…the rest is history,” says Matis. Get Merrell’s support for your every step and take a look at our excellent selection from this leading brand right here at Everything Summer Camp. And, as always, thanks for reading!